I'm such a fan of all the designs by Bonnie and Neil where a few of these can be found -- check out the rest of their collection here. I love the navy and yellow pillows paired together - so beautiful! I literally picked up the yellow one just a few days ago at Target and put it up next to another to see how it looked. 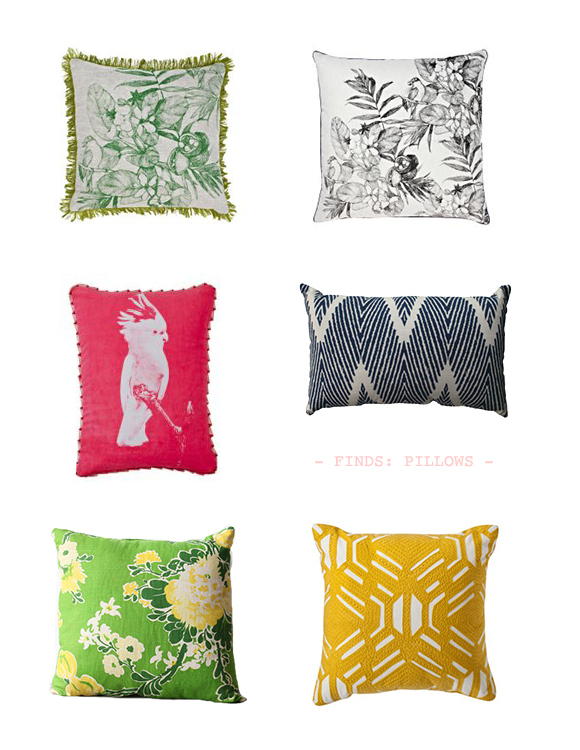 I am yearning for new bedding and some decorative pillows. I keep on eyeing West Elm for bedding but cannot seem to make up my mind (figures). Anywhere you love for bedding?